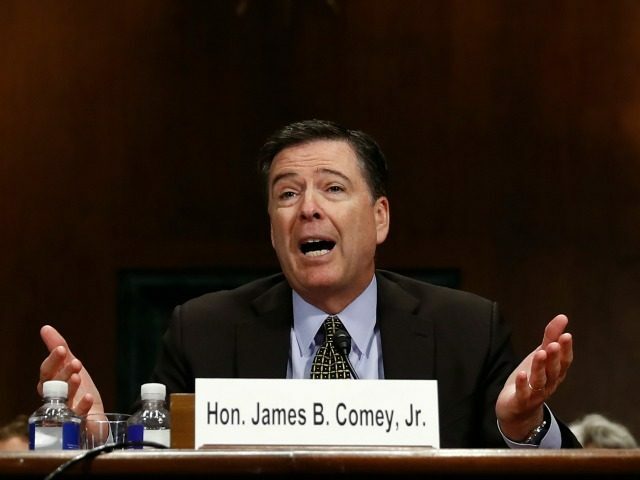 During yesterday’s Senate Judiciary Committee hearing on FBI oversight, FBI Director James B. Comey repeatedly refused to answer questions about his agency’s ties to the controversial, partially discredited 35-page dossier alleging collusion between Russia and Donald Trump’s presidential campaign. The dossier reportedly served as the FBI’s justification for seeking court approval to clandestinely monitor Carter Page, who has been identified as a foreign policy adviser to Donald Trump. In March, the BBC reported the document also served as a “roadmap” for the FBI’s investigation into claims of coordination between Moscow and members of Trump’s presidential campaign. The document was drafted by former British intelligence officer Christopher Steele, who worked for a firm that was reportedly paid by Democrats and anti-Trump Republicans to investigate Trump. The line of questioning about the dossier came in exchanges between Comey and Senate Judiciary Chairman Chuck Grassley. In one case, Grassley referred to a letter that he sent to the FBI on March 6, requesting information and documents about the FBI’s ties to Steele, including whether the agency utilized Steele for its investigation into Trump and whether the FBI paid Steele or intended to pay him. Grassley asked several more questions about Steele, drawing a similar response from Comey. GRASSLEY: Did the FBI provide any payments whatsoever to Mr. Steele related to the investigation of Trump Associates? COMEY: I’m back to my first – I can’t answer this forum. GRASSLEY: Was the FBI aware – was the FBI aware that Mr. Steele reportedly paid his sources who in turn paid their sub sources to make the claim in the dossier? 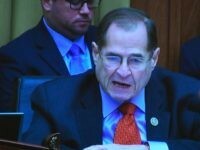 GRASSLEY: Question – next question, according to a complaint filed with the Justice Department, the company that oversaw dossiers creation was also working with the former Russian intelligence operate – operative on a pro-Russian lobbying project at the same time. The company Fusion GPS allegedly failed to register as a foreign agent for his work to undermine the Magnitsky Act, which is a law that lets the president punish Russian officials who violate human rights. Before I sent you a letter about this, were you aware of the complaint against Fusion was acting as a registered agent for Russian interest? COMEY: That’s not a question I can answer in this forum. GRASSLEY: You can’t answer that? COMEY: No. No I can’t. GRASSLEY: The FBI and the Justice Department have provided me material inconsistent answers in closed setting about its reported relationship with Mr. Steele, will you commit to fully answering the questions from my March 6 and April 28 letter and providing all requested documents so that we can resolve those inconsistencies, even if in a closed session, being necessary? COMEY: Because as I sit here I don’t know all the questions that are in the letters. I don’t want to answer that specifically. But I commit to you to giving you all the information you need to address just that challenge, because I don’t believe there’s any inconsistency. I think there’s a misunderstanding but in a classified setting I’ll give you what you need. Ultimately, the FBI did not pay Steele, the Post reported. The dossier, meanwhile, continues to lose credibility. In recent court documents, Steele conceded that part his work still needed to be verified. The dossier contains wild and unproven claims about Trump and sordid sexual acts, including the widely-mocked claim that Trump hired prostitutes and had them urinate on a hotel room bed. Steele’s work has been questioned by former acting CIA director Michael Morell, who currently works at the Hillary Clinton-tied Beacon Global Strategies LLC. Beacon was founded by Phillippe Reines, who served as communications adviser to Hillary Clinton while she was secretary of state. From 2009-2013, Reines also served in Clinton’s State Department as the deputy assistant secretary of state for strategic communications. Reines is the managing director of Beacon.